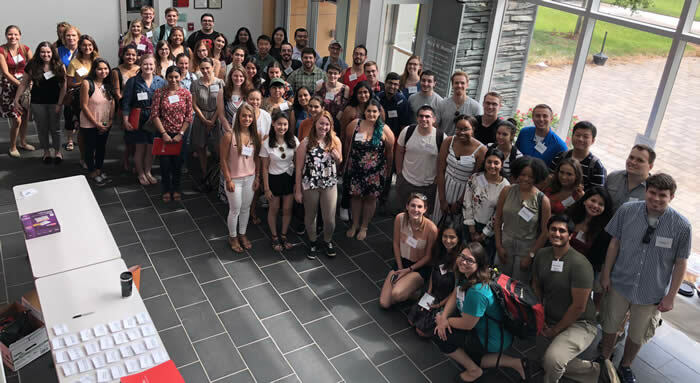 Housed in the School of Graduate Studies at Rutgers University, the Biomedical Sciences programs in New Brunswick/Piscataway offer interdisciplinary PhD training in specialties including Biochemistry, Biomedical Engineering, Cell and Developmental Biology, Environmental Exposure, Microbiology and Molecular Genetics, Neuroscience, Pharmacology (with a Cancer Biology Concentration), Physiology, and Toxicology. Our MD/PhD program is an institutional partnership between Robert Wood Johnson Medical School, Rutgers University New Brunswick campus and Princeton University. In addition, we offer a Masters in Clinical and Translational Sciences, a Masters in Biomedical Science and an MS in Biomedical Sciences. 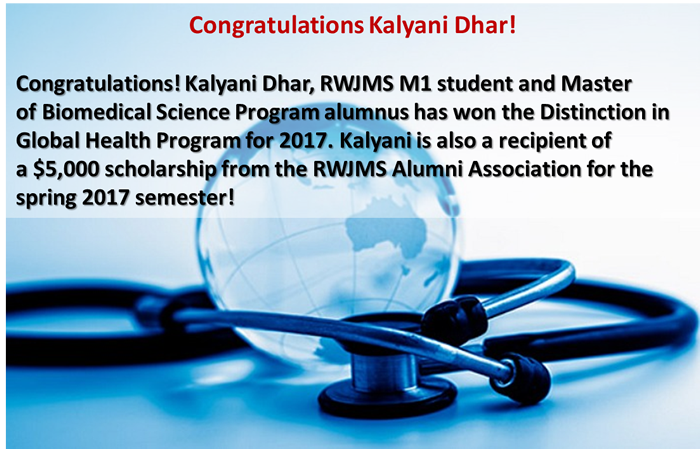 The Graduate School of Biomedical Sciences at New Brunswick/Piscataway is delighted to announce the recipients of the 2016-2017 Keeler Scholarship. 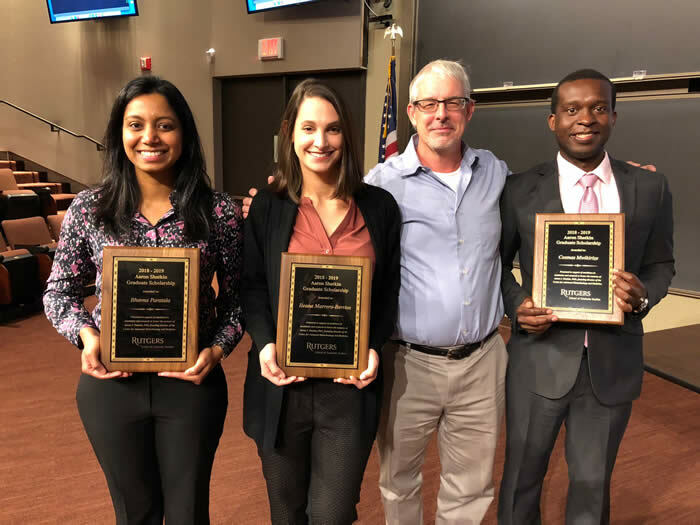 This year’s award winners, Maria Isaac, Phillip Sgobba and April De Stefano will be completing a Master of Science in Biomedical Science degree. We congratulate our students and express our warmest gratitude to the Keeler family, who made this generous scholarship possible. 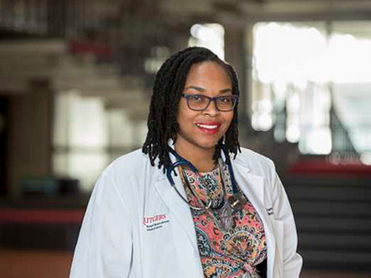 Read about MD/PhD Student Grace Ibitamuno Obienu who juggles 3 passions:medicine, community health and writing fiction. Initiative for Maximizing Student Development (IMSD) Pipeline Program renewed! Congratulations to Jerry Langer, PhD and Beatrice Haimovich, PhD on the renewal of a 5 year $2,365,247 grant from the NIH to enhance the training of under-represented minority students, and increase the number of Rutgers undergraduate and graduate students from diverse backgrounds who continue into careers in biomedical research and who will eventually assume leadership roles in the field. To learn more about the program, click here. Two of our master’s students, Alex Kenefake and Ashley Millette, spent three months in Indonesia as USAID fellows last summer. Read what they had to say about this extraordinary experience. We encourage the incoming MBS class to consider applying for the prestigious USAID fellowship for an all paid summer research experience in Indonesia. Click here to read all about Alex's Experience! Click here to read all about Ashley's Experience! For all events including career training and iJOBS activities as well as seminars and thesis defenses please visit our Google calendar and share it with your personal calendar. For some upcoming seminars on campus, click here. Valdir Cristovao Barth Junior was awarded a University and Louis Bevier Dissertation Completion Fellowship "Reprogramming of Mycobacterium tuberculosis physiology through toxin-mediated ribosome stalling" in April 2019. 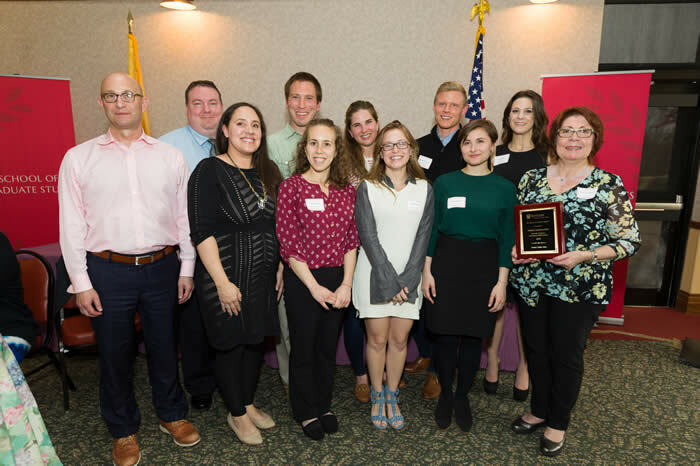 Anton Omelchenko was awarded a New Jersey Commission on Brain Injury Research Predoctoral Fellowship “Exosome-based Delivery of RNAi Therapeutics to Target Traumatic Brain Injury” in April 2019. 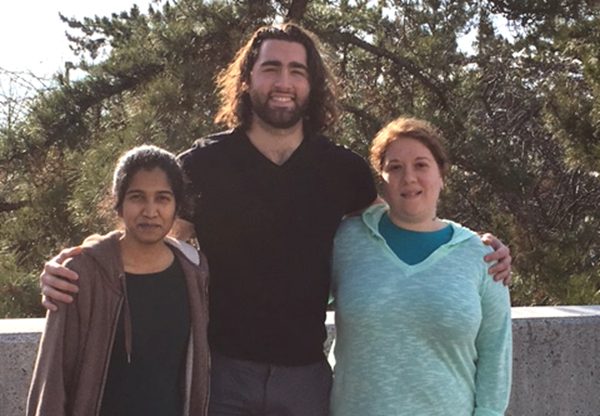 Mark Presker was awarded an NIH F31 fellowship"Stimulus control of attention in cocaine addiction: role of locus coeruleus". Kevinn Eddy was awarded a NJ Comission on Cancer Research pre-dcotoral fellowship " Preclinical Study Using Trigriluzole and anti-PD-1 in a Spontaneous Transgenic Melanoma Prone Mouse-Model" in March 2019. Juliet Gardiner was awarded a NJ Comission on Cancer Research pre-dcotoral fellowship "Tissue-Specific Tumorigenesis in Multiple Endocrine Neoplasia Type I" in March 2019. Vrushank Bhatt was awarded a NJ Comission on Cancer Research pre-dcotoral fellowship"Targeting autophagy to improve the efficacy of immunotherapy in Liver Kinase B1 (LKB1)-deficient Non-Small Cell Lung Cancer (NSCLC)" in February 2019. Ludwik Gorczyca was awarded an NIH F31 fellowship " Mycoestrogen Disposition and Activity in the Placenta"in July 2018. Loh Jui Wan was awarded a NJ Comission on Cancer Research pre-dcotoral fellowship "Investigating Clonal Dynamics of Chronic Llymphocytic Leukemia under Targeted Gene-Specific Therapy" in May 2018. Unnati Chauhan was awarded a NJ Commission on Cancer Research pre-doctoral fellowship "New tRNAses for Cancer Treatment" in May 2018. Yuhan Zhao was awarded an F99 fellowship "The regulation of mutant p53 protein accumulation and GOF activity in tumors" in September 2017. Michele Patrizii was awarded an NIH F31 fellowship "Proteasomal regulations of BMI-1 and impact on tumor initiating cells in glioblastoma" in July 2017. 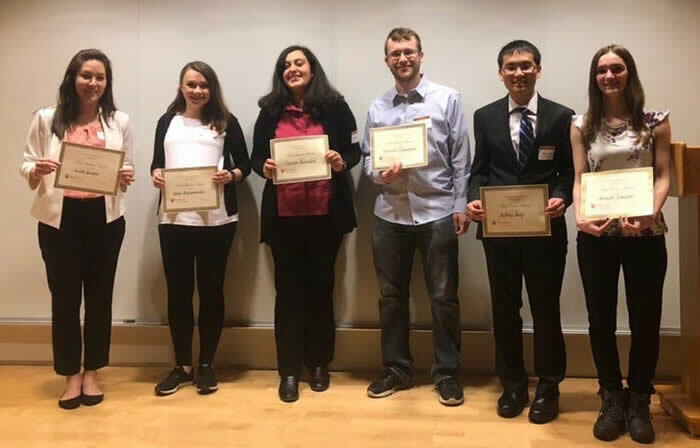 Erika Davidoff, Biomedical Engineering won second place in the 3 Minute Thesis competition at Rutgers in March 2019. Victor Tan did an internship at Celgene in the summer of 2018. 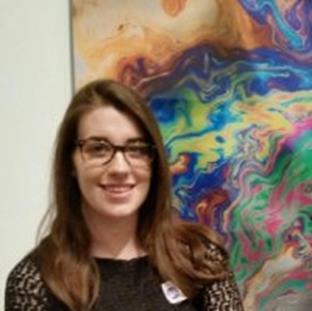 Jenna Newman did an internship at Cellularity in the summer of 2018. Liam Turk did an internship at Aleon Pharma in the summer of 2018. Larry Cheng did an internship at Defined Health in the summer of 2018. Caroline Pantazis has been awarded an Eagleton Institute of Politics Fellowship in May 2018 and was also selected to participate in AAAS Catalyzing Advocacy in Science and Engineering in Febrauary 2018. Praveen Bommareddy has been selected to the list of 30 young emerging leaders in Cancer Immunotherapy by the Society of Immunotherapy in Cancer (SITC) and will participate in the Sparkathon. Bitha Narayanan received the Victor Stollar Fellowship in 2018. Eileen Oni is working at the National Science Foundation as a AAAS Science and Technology Policy Fellow in the Directorate for Engineering, Division of Engineering Education and Centers with Broadening Participation in Engineering from 2017-2019. 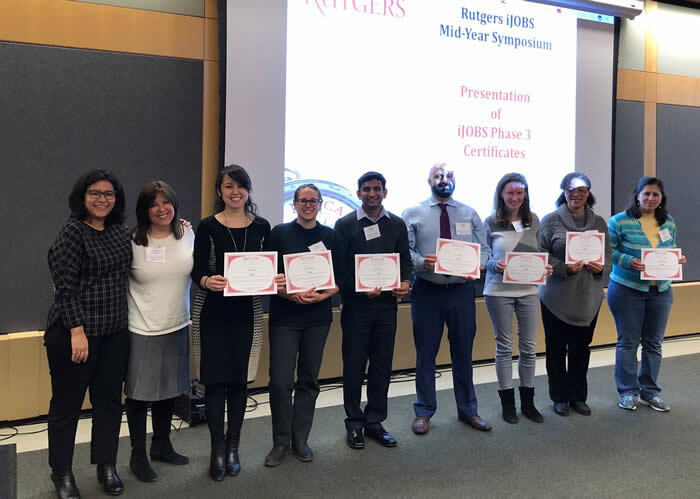 Rutgers University (PIs Millonig and Yarmush) is excited to announce that we have been awarded a 5 year NIH Broadening Experiences in Scientific Training (BEST) grant. Click here to learn more about iJOBS that launched in January 2015. Yuanwang Pang is a postdoc at NYU. Almin Lalani is a postdoc at the National Cancer Institute. Anna Hader is a postdoc at Johnson & Johnson. Dharm Patel is a project manager in Scientific Affairs at Leo Pharmaceuticals. Chenchao Gao is a Clinical Regulatory Affairs Specialist at Seattle Genetics. 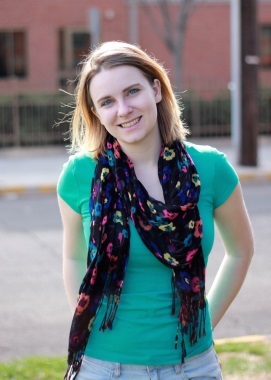 Alexandra Walczak is the Supervisory Laboratory Operations Coordinator at Rutgers Divison of Life Sciences. Eva Nelly Rubio is at Celgene as Scientist I.
Serom Lee is an Associate Consultant at Defined Health, a Cello Health business. Myka Ababaon has a job at Caudex as a Trainee Medical Writer. Kathryn Drzewiecki is a project manager at Early Charm Ventures. Jon Brzezinksi is working at Tiberend Strategic Advisors as an Account Executive.